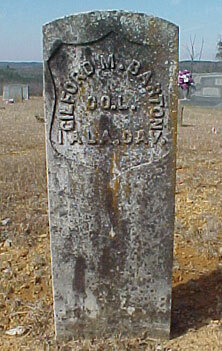 Gilford M Barton was born in January 1841 in Hall Co., GA. He married Nancy Hane Weaver in Hall Co., GA. He died 1 August 1915 in Tuscaloosa Co., AL.